Verdicts with an “S” – yes indeed, that means more than one. Just weeks after a $9 billion damage award in a federal Actos lawsuit case, two state court juries have just come back with defense verdicts. Score one two for Actos. Takeda Pharmaceuticals, maker of the popular diabetes drug Actos, currently faces more than 7,000 product liability lawsuits pending nationwide. All of the lawsuits have similar allegations, that they, or loved ones, were at an increased risk of developing bladder cancer following long-term use of Actos. Despite these side effects, the FDA recommends that health care providers continue to prescribe it according to the drug label recommendations. This is not the case in France and Germany, where the prescribing of any new prescriptions has been suspended. 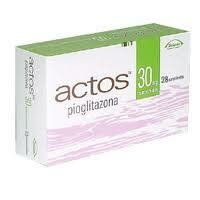 Still, Actos is doing rather well so far in the courtroom. Following six Actos trials that have gone before juries, Takeda Pharmaceuticals has successfully defended Actos in five of these cases. And, in at least two state court trials where the plaintiffs prevailed, the presiding judges have issued subsequent rulings overturning the jury awards, resulting in a defense verdict. What do all these defense verdicts mean for me? Nothing. With more than 7,000 cases pending, there is bound to be more defense verdicts out there, just waiting to be announced. But, this doesn’t mean much in the grand scheme of things. Everyone knew there would be wins and losses. Personally, I think the value of the case should be going up. Why? That $9 billion verdict send shock waves. The judge overseeing the current federal MDL trials has determined that juries will be told of how Takeda either neglected to save vital information or intentionally destroyed it, a “spoliation” instruction that has not been given to all of the juries at the state court level. So just like the people that claimed these cases were over with that monster verdict, the “these cases are dying” people also need to take a step back and look at the big picture. This is a a marathon, not a sprint, just like every other mass tort case. There is no doubt that for some, the benefits of taking Actos outweigh the potential risk for bladder cancer, or any of the other reported side effects. There is a reason that the FDA has not recalled the product. But that does not mean you can put a product on the market with this awful fatal risk and not give people a heads-up so they can make an informed call. Please contact us at 800.553.8082, or online here for a free consultation.